JBG Building Surveying provides Building Surveying and related services to the Construction Industry inclusive of but not limited to Building Permits and Inspections (See JBG Services for full list). We believe in providing a service that is in line with modern business processes and are continually working on developing New, Interactive and Innovative systems that enable us to be the industry leaders. We are a business with strong family values who have a desire to work with and relate to our clients, so we want you to understand who we truly are. Joe, the principal of the business has had many years’ experience in the building industry, primarily as a Building Surveyor. 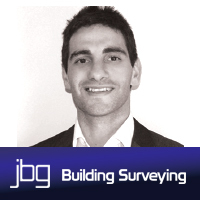 Joe is also a member of the Australian Institute of Building Surveyors. Joe’s passion away from work is his family, friends and sport. Bec prior to having a family worked in the Victorian Government and Large Australian corporations as a Human Resources Professional. Bec currently manages the Marketing & Human Resources for the company whilst managing the busy schedule of motherhood. We have four very special children, our company name stands for them – they are the core of our life, our family and our motivation for this business, J- Joe, Jasmine, Jordan, Jayla, B- Bec and G- Giselle, JBG Building Surveying. Jasmine our eldest daughter has Cerebral Palsy, Profound Deafness with Bilateral cochlear implants, has a visual impairment and Sensory Processing Disorder. Having a young family, with a special needs child, we want to take our financial future into our own hands so that we can be an example for them and give them all they need in order to achieve their full potential.